KANSAS CITY, Kan. -- You would think that an Olympic gold medalist has likely pushed himself to the brink of fainting during training a few times, right? 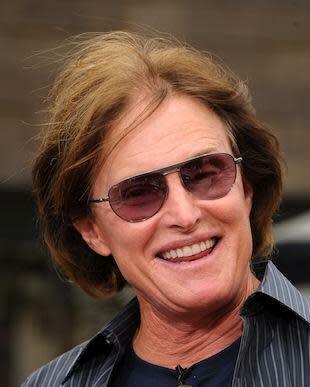 Bruce Jenner has undoubtedly had hundreds of brutal training sessions. But the 1976 Olympic Decathlon gold medalist says that the closest he's ever come to passing out was when he climbed from a race car. "Actually, the closest I ever came to passing out was at Mid-Ohio one year. We didn’t have a cool suit, it was hot... the engine’s up front and an enormous amount of heat comes off that engine," Jenner said. "I got out of that car and I thought I wasn’t going to make it. I was just cooking. And I had to lay down. I never had to do that running." But Jenner's driving career is reviving this weekend. While he's known now for his role on Keeping Up with the Kardashians, Jenner raced during the 80s, teaming up with Grand-Am driver Scott Pruett to drive IMSA GTOs with Jack Roush and even doing some IndyCar pit reporting. He's driving this weekend with his oldest son Burt, who won the second season of Ford Octane Academy in the Lamborghini Super Trofeo Series for races on Friday and Saturday at Kansas Speedway. As soon as Saturday's race is over, it's back to the reality life for Bruce, as he heads back to Los Angeles to shoot the episode centered around Kylie's 16th birthday party. Bruce's first street car? He says it was a 1954 Cadillac hearse, which he bought for $150 when he was 16 years old. "My world record in high school was 27 people in the back -- all alive," Bruce said. Burt says his was a Ford Bronco. Given that Kris Jenner, Bruce's wife since 1991, was previously married to OJ Simpson's lawyer Robert Kardashian, that's quite the coincidence, isn't it?